LITEC, a story of successes. 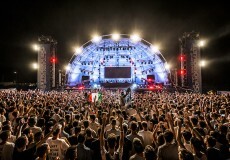 LITEC started working in the entertainment sector as a professional lighting equipment supplier. In the mid-90's it began manufacturing aluminium structures. This business very quickly revealed itself to be a successful choice for LITEC, which soon became market leader in the truss and trussing accessories sector. In 1999 LITEC was acquired by the Vitec Group PLC and became part of Manfrotto, one of the worlds' largest lighting stands and supports manufacturer. LITEC today is one of the most important manufacturers of rigging aluminium structures in the world. Thanks to its R&D department it is a very dynamic company, with strong focus on new product design and development. Libera is an example of this. 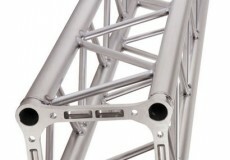 It is a new concept in the use of trusses with a system built from flat components. The company also distributes new LITEC Hoists, available in D8 and BGV-C1 models, intended for use in setting up events. Since August 2012 LITEC has belonged to Milos, the largest global aluminium trussing and staging group. LITEC has announced that its MyT Folding Steroid Roof System received the 2017 “Best New Truss” gold star award from one of America’s most famous journalistic awards. 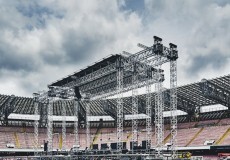 El techo Alusfera 76 II de LITEC fue seleccionado para servir como escenario principal de uno de los conciertos en la playa más exclusivos del año: “Summer Beach Arena”. 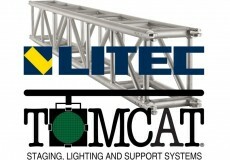 MILOS Group adquiere LITEC & TOMCAT. La compaà±à­a checa anuncià³ recientemente la adquisicià³n de las dos renombradas marcas relacionadas con el mundo del montaje. 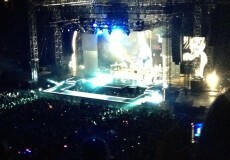 Tiziano Ferro on Tour with LITEC. Litec lanza el nuevo Truss QX30AC. La nueva versià³n del popular soporte ha sido desarrollada por A.C. rigging en respuesta a demandas de sus clientes.